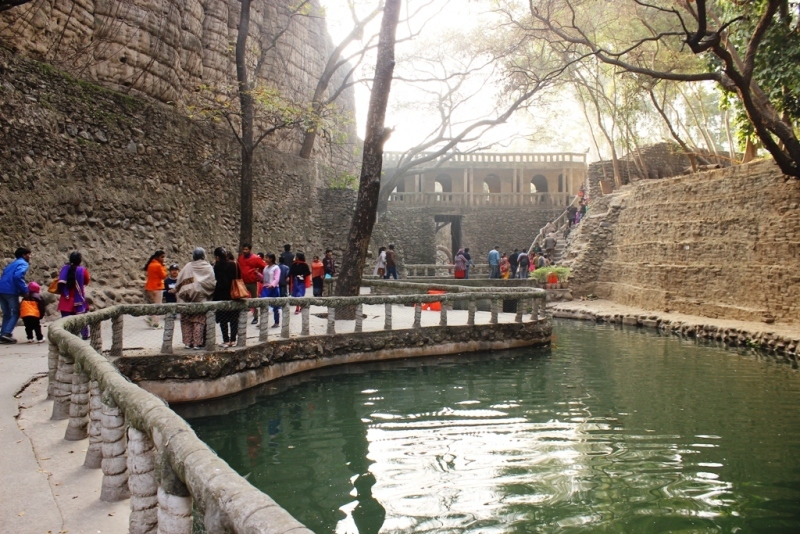 A unique garden resembling a mythological kingdom having rocky pathways, wooden bridges, hilly waterfalls and ancient villages with mud houses, naturally looking labyrinthine paths which guide us to different segments of garden where each segment brings a all new surprises in the form of artistic creations and masterpiece sculptures. 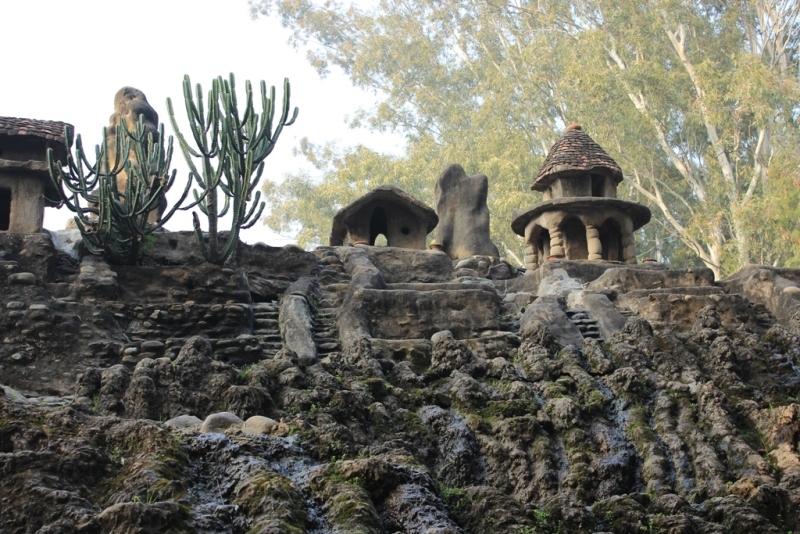 Even more surprise is the fact that every items and sculptures showcased in garden are beautifully designed and made from the home and city’s wastes. I happened to be in Chandigarh many times before and each time I praise this city for its beautiful sector-wise design, open spaces, greenery and large shopping complexes, but this time I realizes why Rock Garden is the symbol of Chandigarh, it is said that during making of Chandigarh all the wastes of construction material were used to make sculptures of Rock Garden. 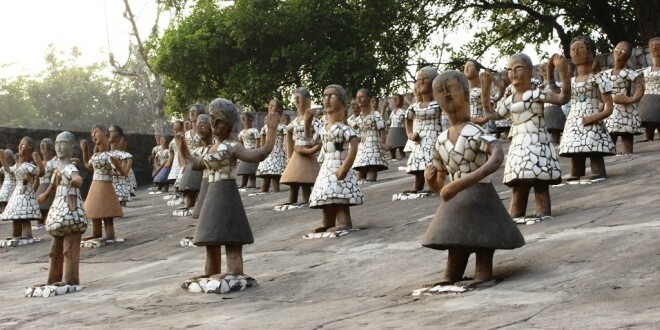 The garden is the creation of Padam shree Awardee Nek Chand. 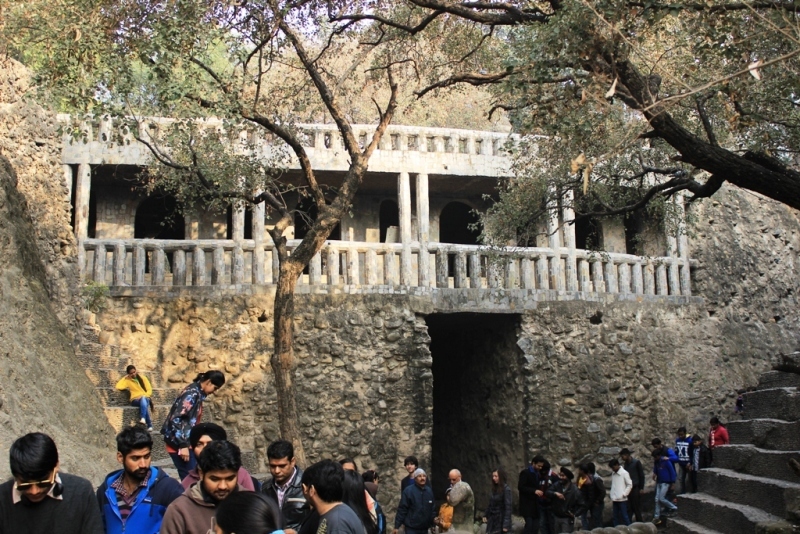 His artistic vision and unique style has given the city a marvelous creation in the form of Rock Garden. 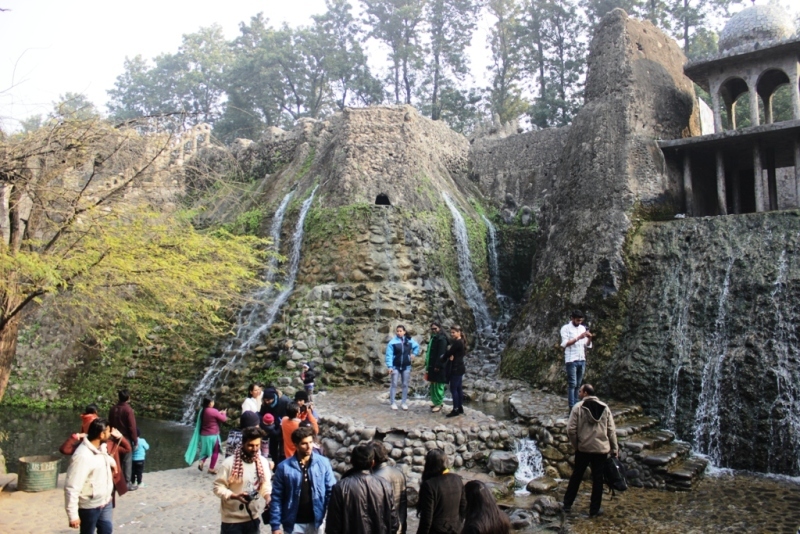 Rock Garden is designed in the form of various segments each segments showcase unique sculptures and landscapes. There are small door connecting each segment, an adult has to bend and cross to reach other segments. Each segment comes with the new-new surprise in the form of artistic creations. 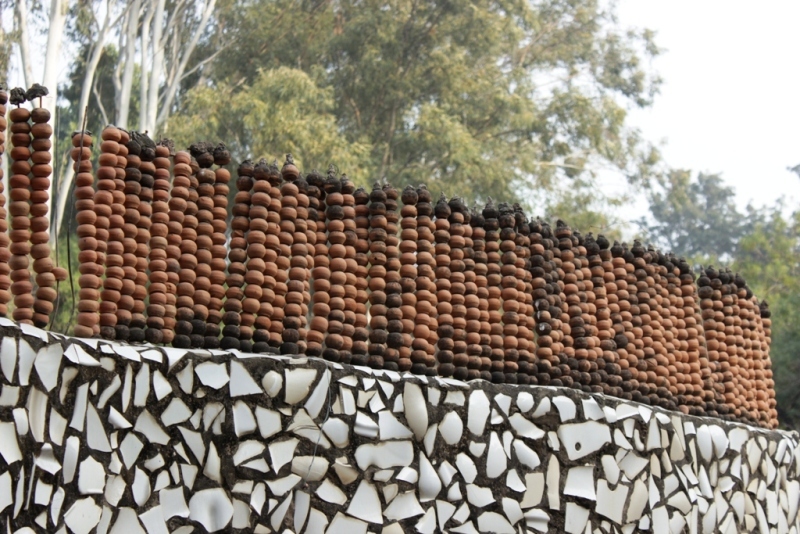 At first after entry we come across variety of the rocky artifacts made of clay, cements and earthen materials. 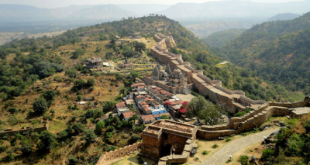 It resembles the findings of archaeological survey. 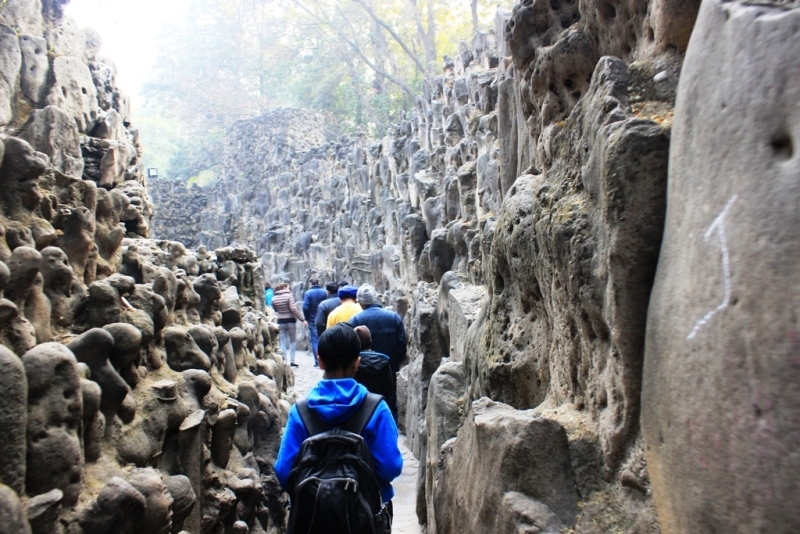 Then we passes ups and downs on the labyrinthine path to enter a Rocky Kingdom similar to a world of fairy tale story. There are waterfalls, mountains, bridges, houses made of mud etc, all looks very original and attracting. One good thing is that photography is not prohibited inside and there are too many spots for a photographer to take beautiful pictures. I also experimented with my DSLR to captures some beautiful images . It is worth noting that all the creations were made from wastes and that too in a beautiful way. 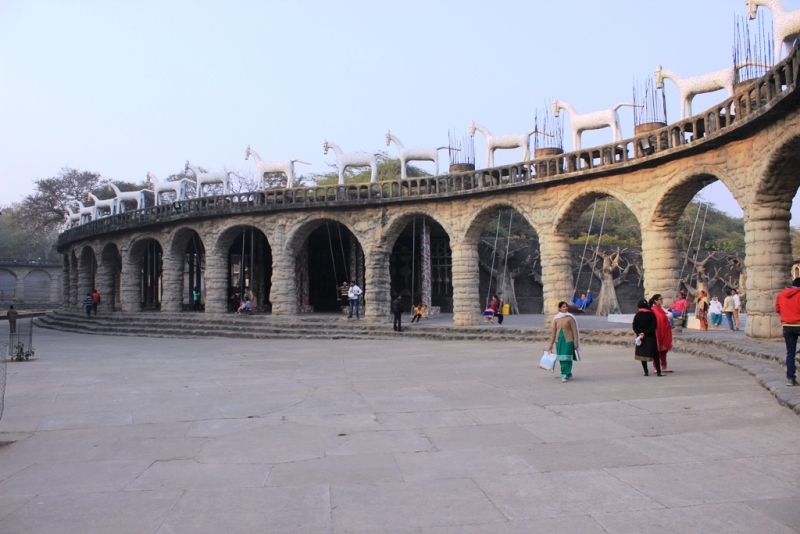 At last we enter to different segments where sculptures of various animals and human were showcased in various styles. 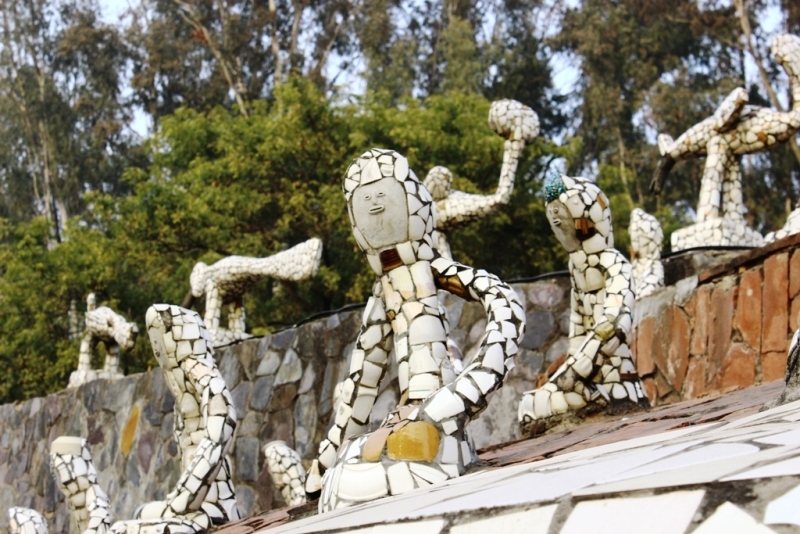 It was worth watching these creations made of made of broken tiles, bangles, and other wastes. 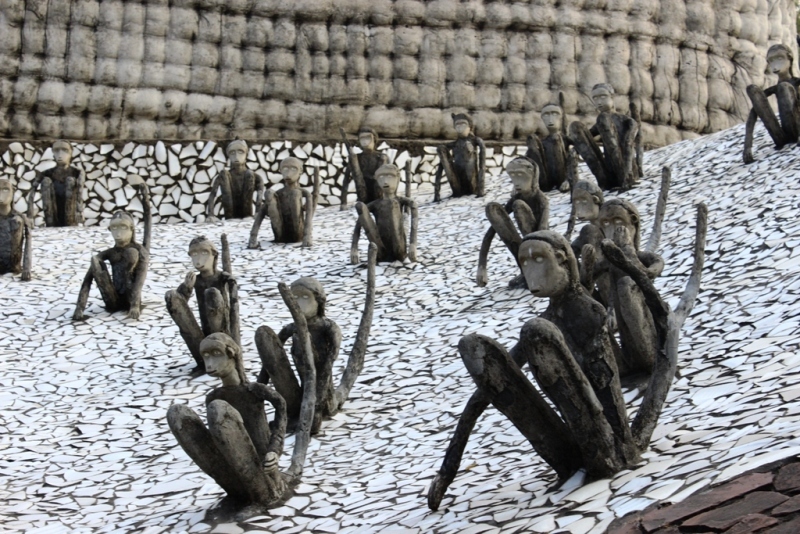 At last i would recommend every body to visit the Rock Garden of Chandigarh and witness the creation of Nek Chand ji, who has gifted the city with a marvelous art in the form of Garden. The Garden entry fee is Rs. 20/- per adult and Rs. 5/- per child below 12. There is no charge for Camera entry. Next Dal- Baati Churma My Favorite of Rajasthan?